Mrs. Caroline Kroes (1981) is a Corporate Strategist at Port of Rotterdam and programme lead for the port’s Energy Transition strategy. In that role, Caroline is focused on the analysis and presentation of long term developments and translating these into short term strategy. This has resulted in strategies to decarbonize both the port’s industrial cluster as well as the transport and logistics sector the port is part of. 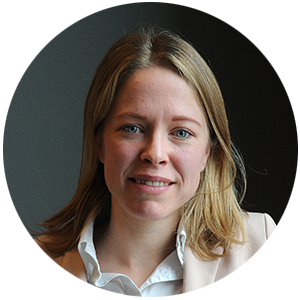 Caroline has worked on a diverse set of projects within the Port of Rotterdam, among which: design, implementation and annual monitoring of various business plans, delivering strategic advice to a large international port, business development and innovation and scenario planning. Before joining the Port of Rotterdam authority in 2009, Caroline worked as a consultant with PricewaterhouseCoopers and advised companies in the fields of efficiency improvements, organizational design and strategy. Caroline holds a Master’s Degree in International Business from Tilburg University (The Netherlands).